Power your game with advanced Intel® Core™ processors and the latest graphics. We love your work. That's why we created the Inspiron line. They're stylish, versatile and packed with potential, just like you. The best Windows ever meets the best Dell ever. The result? A whole new era of power, performance and productivity. 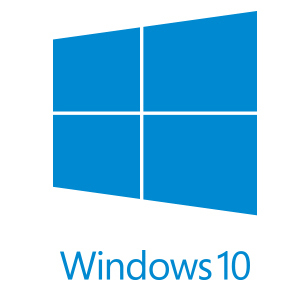 Windows 10 gives you all the features you know from the world's most popular operating system, plus great improvements you'll love. Enhance all you do with new Windows 10 features: Stay untethered for even longer - All Windows 10 devices now have Battery Saver to automatically conserve power – so you can work longer and play harder. Optimum performance for gaming, surfing and everything else. Multi-tasking processing: With 6th Gen Intel® i5 and i7 Quad-Core processors, you’ll have all the power you need to enjoy both gaming and entertainment. Stream and re-stream videos: The NVIDIA® GeForce® GTX 960M is your performance-class graphics card with 4GB GDDR5 discrete memory. This graphics powerhouse gives you high frame-per-second rates in games and accelerates video editing and transcoding. Primed to play: Choose from multiple hard drive options, including a 1TB HDD dual drive and a 128GB solid-state drive for plenty of storage, stability and responsive performance. Marathon battery life: With a 6-cell 74Whr battery, expect exceptional battery life to power your favorite games and videos without interruption. 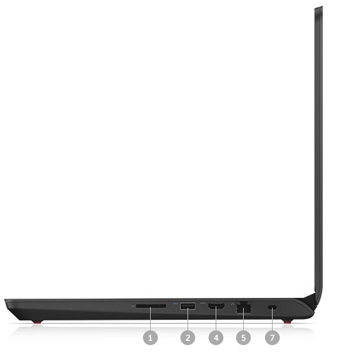 Combined with a 1” thin design and strong performance, this laptop makes it easy to take it all with you. Keeps things cool. Keeps you entertained. Our revolutionary thermal cooling design was built to handle our highest-performance processors and graphics. 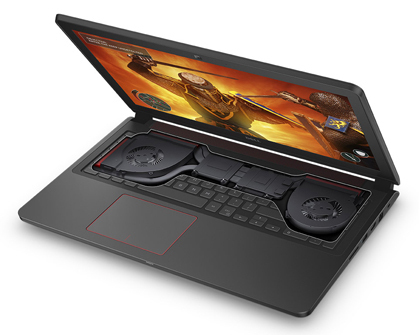 The two cooling fans, three exhausts and large vents with 240 thermal fins all work together so you can experience uninterrupted gaming and smooth streaming, all while your system and palm rest stay cool. Fully framed: Get the best front-of-screen experience with a FHD anti-glare IPS wide angle display (1920x1080). 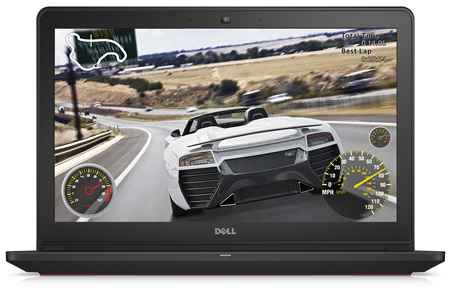 Add an optional Truelife UHD (4K resolution) touch screen and enjoy your media in stunning detail. Bring the noise. Immerse yourself in superior sound with Waves MaxxAudio® Pro. The studio-quality processing software enhances your listening experience, and partnered with Dell-designed performance speakers and a built-in subwoofer, you get to hear every detail. Everybody will be reaching for your computer. 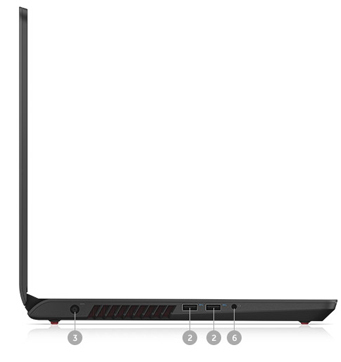 Light, lean and ready: The portable 15" laptop is ready to pack up and go wherever you need it. Personalize it: Choose what suits your style with three color options: matte black, grey or hibiscus red. 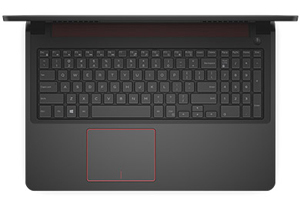 after you place an order, you will get the laptop price in our website. 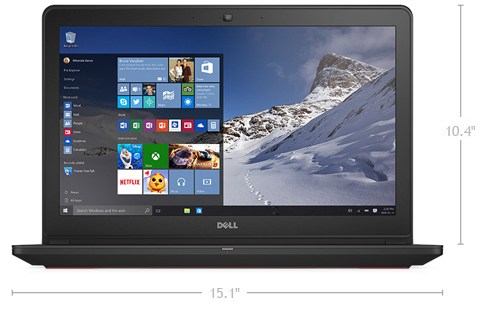 Tell us what you think about Dell Inspiron i7559-3763BLK 15.6 Inch FHD Laptop, share your opinion with other people. 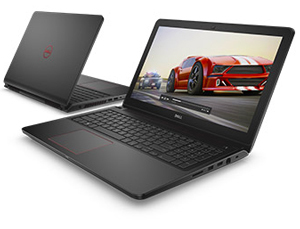 Please make sure that your review focus on Dell Inspiron i7559-3763BLK 15.6 Inch FHD Laptop. All the reviews are moderated and will be reviewed within two business days. Inappropriate reviews will not be posted.